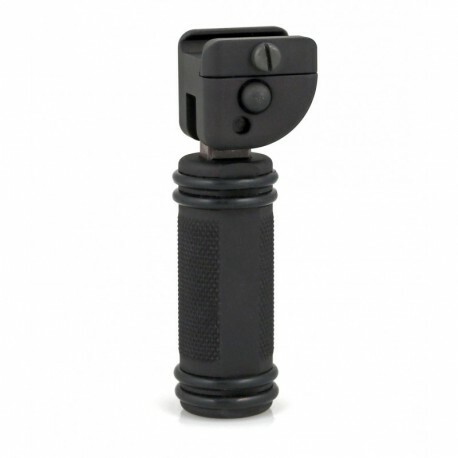 BLEMISHED Gen. 2 BT27: Folding Vertical Fore Grip - B&T Industries, L.L.C. When a member of a government agency asked us why the BT27 did not offer a 45 degree position, we did not have an answer. Now it does! 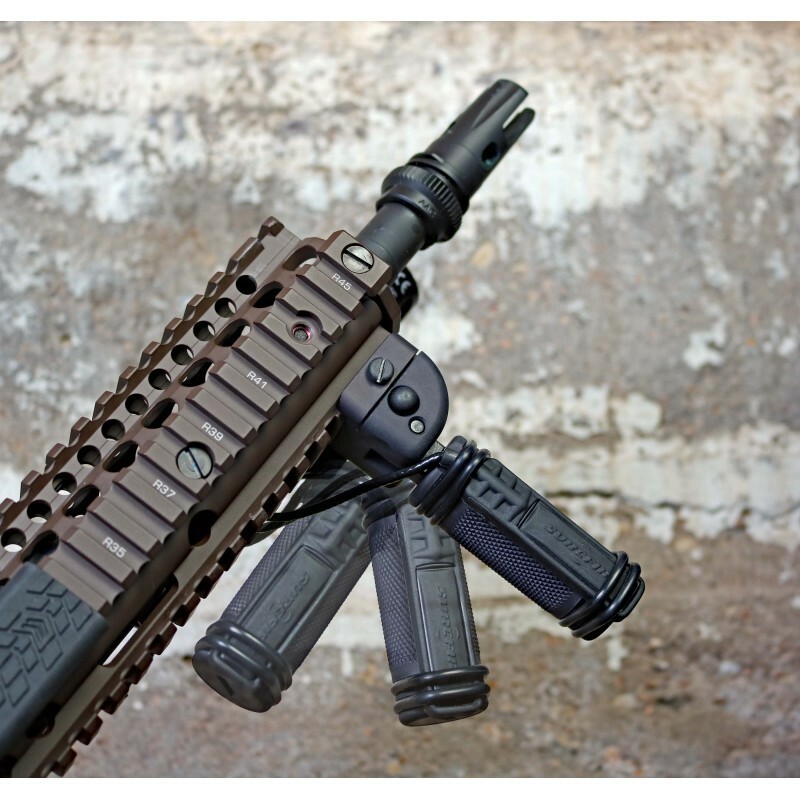 The newly redesigned BT27 Folding Vertical Fore Grip offers two opposing at surfaces to secure light switches with the installed Buna O-Rings. Removing the bottom cap reveals a storage compartment designed to hold a single 123 battery. The unique design protects the battery from being drained by placing the positive side (+) towards the relieved cap. 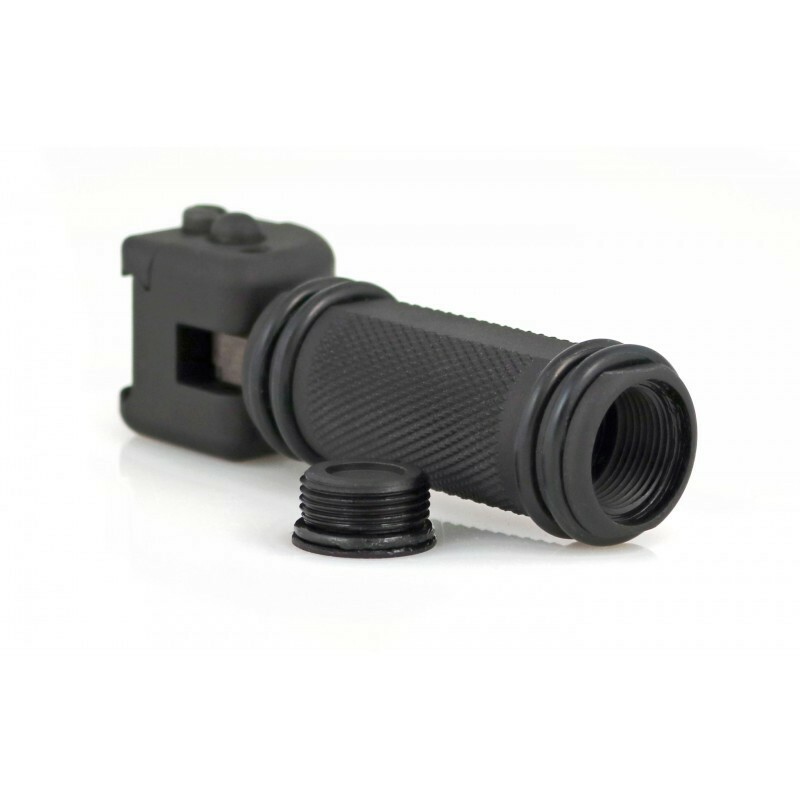 We also trimmed the handle to decrease weight while maintaining battery storage and touch pad retainers. Available in black only.